Email is a great medium for marketing. If, that is, you do it effectively. That means doing it correctly. 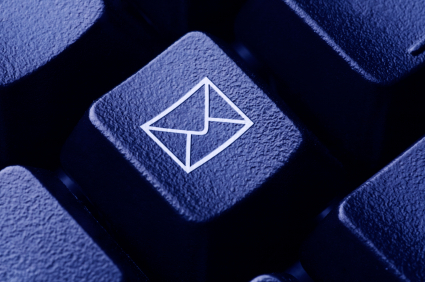 Here are five (5) means of making your email marketing truly marvelous. Get Real . . . using Outlook to send email is not. A real ESP (email service provider) such as Constant Contact, MyEmma, MailChimp, etc. will be easier to manage and more likely to get your emails put through to your intended recipients. Professional Look and Feel . . . get a graphic designer, skilled in html to create a customized email template for you and your business. Using generic templates, while quick and easy, are the equivalent of using clip-art on your website. It’s so ’90’s! Email Regularly . . . sending email on a regular basis keeps you from being forgotten or, even worse, accused of spamming someone. Use a marketing calendar to PLAN your mailings and follow your schedule once you’ve set it. Check Your Stats . . . email services provide valuable reports on such metrics as percentage of your mailings that are being opened, which links are being clicked (and, by whom), etc. You can make better decisions about marketing with email but only if you know what’s working or, what’s not! Be Relevant . . . failure to speak to what your recipients care about is email marketing suicide. It’s certainly enough to get people to stop reading what you’re sending. Email is an excellent marketing medium IF you use it properly. The ‘rules’ aren’t many and they aren’t difficult. But they must be honored.